Originating in Central Asia, hemp (not to be confused with its cousin, Cannabis Indica!) has been used for 8000 years for its seeds and fibres. The Romans loved to eat the seeds covered with honey as sweets. Today, hemp seeds are consumed as flour, oil, beer and many other products. Omega 3. These are “essential” fatty acids that our bodies cannot produce by themselves, so we need to include them in our diet. The Omega 6/Omega 3 ratio in hemp is 5/1, so fairly close to the proportions recommended for human health (4/1) while our diet can often contain up to 20/1. 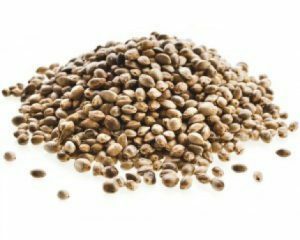 In this way, consuming products made from hemp seeds can help re-balance our intake of essential fatty acids. These fatty acids are a part of many very important physiological processes: they are used throughout your life to build and maintain cell walls, maintain cardiovascular functions, help your brain and hormone systems and more. In the 17th Century, hemp was produced in Noyal-sur-Vilaine (the town in France where Sojade is produced) to manufacture canvas to be used to make boat sails. These canvases were called … « noyales » ! It is said that Christopher Colombus’boat was equipped with « noyales » sails when he discovered America !